This is what I’ve been waiting for! 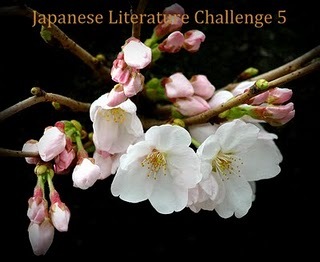 Dolce Bellezza is once again hosting the tremendously popular Japanese Literature Challenge 5. It runs from 1st June 2011 until 31st January 2012 and all you need to do is read at least one book of Japanese literature. Easy, right? And so much fun. I will, of course, be attempting to read more. Plus there is the added excitement of a new novel by Banana Yoshimoto, The Lake, which is out soon and Haruki Murakami’s 1Q84 out in October. SO EXCITING. Let’s see how many I can get through this year. And you never know what other titles I may dig up. I will join as always. I borrowed three Kawabata books from the library, but couldn’t get into them? Maybe I will have to try again. Looking forward to The Lake and the new Murakami. I read Shogun when I was a (weird) child. Great story! I haven’t read Kawabata in years so really looking forward to reading his novels. Ah, I see someone bought ALL of the new Penguin Kawabata editions! A tad ahead of you this year, heh! Just a few weeks ago I read Kanoko Okamoto’s A Riot of Goldfish. Very lush, esp, in the second novella of the book where there’s much foodiness. Excellent. I thought Kanoko Okamoto sounded familiar and I’d read a short story of hers in To Live and To Write. I must look into A Riot of Goldfish especially since David Mitchell’s written the intro! Thanks for the rec! I love The Silence. I reread it almost yearly..
Not read any of the books on your list, but am looking forward to 1Q84. I still have a long way to go before I finish his entire backlist, but a new book is a new book. I’ve got a Ryu Murakami on the list, and I want to read some books by Yogo Ogawa as well.